Georgia defensive coordinator Mel Tucker has officially been hired to be Colorado's new head coach. Tucker has served as the Bulldogs DC for the past two seasons and will join Colorado immediately and will not coach in the Sugar Bowl against Texas, according to the release. 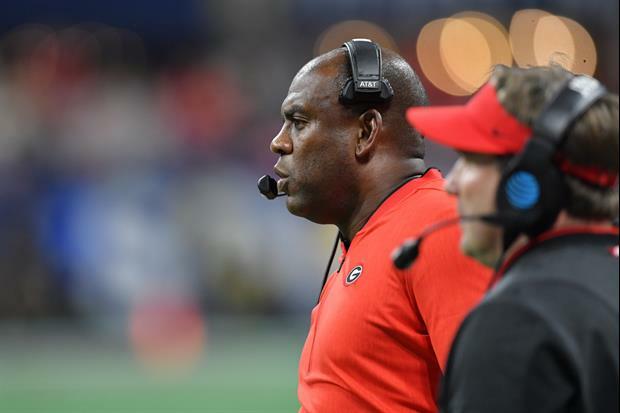 BOULDER — Mel Tucker, who has spent the last three years as the defensive coordinator and secondary coach at the University of Georgia, has been named the 26th full-time head football coach at the University of Colorado, athletic director Rick George announced Wednesday. George has proposed that CU's Board of Regents approve a five-year deal for Tucker worth $14.75 million of which the first-year salary would be $2.4 million and then increase by $275,000 annually, not including additional pay if any of several incentives in the contract are met. The Regents must approve Tucker's contract, which campus leaders hope to present for their consideration at their Dec. 12 special meeting in Denver. "Colorado has always been a place that I thought should be relevant in the national championship conversation year-in and year-out, because of its tradition and a seemingly endless list of what the school has to offer," Tucker said. "What we have to offer are some of the best facilities in the country, strong academics, and an amazing environment as a whole. Colorado should be a 'no excuse' program. There's absolutely no reason we can't achieve success at an extremely high level. Good to see an assistant at a school other than Bama be poached. How dare him skip the bowl game to pursue his dream of being a head coach!!! He's turned his back on his fellow coaches and his players. He is so selfish. Oh wait, he isn't a player skipping a bowl game to prepare for his new job so it's cool. It is cool, because coaches and players aren't the same. That comparison has always been pathetic. I guess we should start paying college football players millions because the coaches get millions. Congratulations to Mel Tucker - Damn Good Dawg!